Losses persisted at Nigeria’s equities market Wednesday dragging the Nigerian Stock Exchange’s (NSE) market capitalisation N15.5 billion lower to settle at N11.6 trillion, while the All Share Index (ASI) settled at 31,040.84 points after dropping 0.13 percent lower than previous trading session. The losses were on the back of share price depreciation recorded in some heavy weight stocks in the market namely Nestle (-1.7%), Stanbic (-1.7%) and ETI (-2.2%). The year-to-date losses declined further to -1.2 percent as activity level weakened. 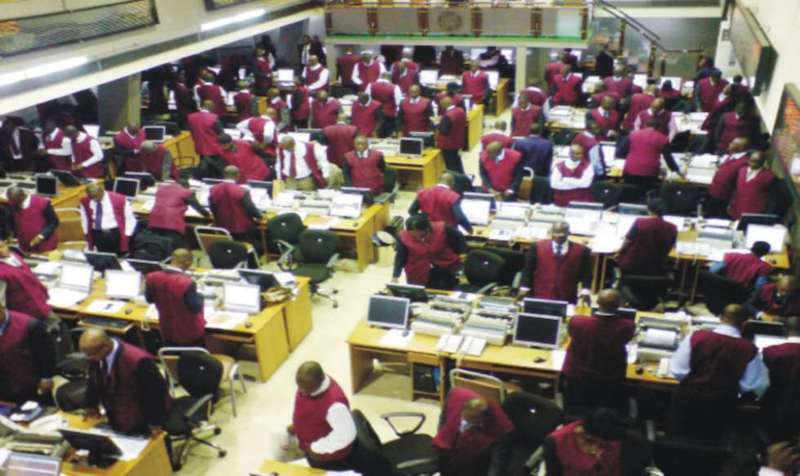 The volume and value traded shed 22 percent and 30.1 percent to 223.6 million units and N2.2 billion respectively. The top traded stocks by volume were Access Bank (83.2m units), Zenith Bank (22.5m units) and Fidelity Bank (16.3m units) while Access Bank (N529.9m), Zenith Bank (N494.7m) and Nigerian Breweries (N262.4m) were the top traded stocks by value. Performance across sectors remained bearish as 4 of 5 indices closed in the red. The Banking index was the lone gainer, up 0.9 percent due to buying interest in Access Bank (+9.2%) as a result of its merger with Diamond Bank, Zenith Bank shares also gained (+1.1%) and Fidelity that added (+9.1%). On the flip side, the Consumer Good index shed the most, down 0.9 percent driven by sell pressures in Nestle (-1.7%) and Nigerian Breweries (-0.7%), trailed by the oil & gas index inching lower, 0.6 percent following sell pressures in Oando (-4.3%). In the same vein, losses in AIICO Insurance (-8.5%) and Mutual Benefit (-4.4%) dragged the Insurance index down by 0.5 percent while the Industrial Goods index (-0.4%) closed in the red due to sell offs in Betaglass (-8.9%) and Cutix (-9.8%). Investor sentiment as measured by market breadth (advance/decline ratio) weakened to 0.6x from 0.9x recorded in the previous session as 14 stocks appreciated against 23 decliners. Niger Insurance (+9.5%), Access Bank (+9.2%) and Fidelity (+9.0%) were the best performing stocks while Cutix (-9.8%), Betaglass (-8.9%) and AIICO Insurance (-8.5%) led the laggards. New company earnings releases and compelling attractive valuation are expected to propel demand in subsequent sessions says equities market analysts at Afrinvest. The analysts noted that they observed some bargain hunting, in Wednesday’s trading session especially in bellwethers that declined earlier in the week. They added that whilst the bearish sentiment continues to prevail, they are optimistic of near term demand surge.